Fields takes the reader through a few stories on the set of the “Facts” show, where there were casting changes and mid season breaks during the first season, which eventually led to the show’s breakthrough. She tells about how in during Season Four of the show, a comment by Joan Rivers led to the show’s producers to start monitoring the weight of the cast members. The book walks through Kim’s career after the “Facts,” to getting a role on the show “Living Single,” to her work behind the camera and on reality shows and her love for spoken word poetry. The book, at times, covers how Fields became a Christian at age 14, and how her faith helped her through some tough parts of her life, including bad relationships, and a time that she refers to as “The Dark Ages,” which a Liza Minnelli interview helped her get through this period of her life. The book is a easy read and a quick read , which is good and bad. If the reader is looking for a bunch of behind the scenes stories about the “Facts of Life” times, they will not find a lot here. There are stories, but this period seems to be rushed through (either that or there was not much to tell on the set). Fields spends more time on her failed relationships (one interesting story involves having to choose between her church and her then boyfriend), along with her praises for African-American leaders like Jesse Jackson, Barack Obama, and other social causes (which is not bad, it’s her book, but those wanting to hear more about the television career of hers may be let down a little). There are some great stories in the book about her growing up with a young Janet Jackson and her family, and her career behind the camera with helping out other famous people with their acting, along with her thoughts on the TV Show “Friends,” which was being pushed by the same company that owned “Living Single,” which is very interesting. This book is a different kind of Christian Living book, where although there are a few Bible verses put in the book, there are not many. The best part of the book is her discussing her “Dark Ages” period, which shows that even the people society builds up, have their doubts, fears, and disappointments. Die-hard fans of Kim Fields will definitely enjoy this book. This is not a typical Christian book, nor is it a typical Hollywood tell-all biography, which each in their own right, has its unique qualities. Thank you to FaithWords and Hatchette Books for the Review Copy. “Blessed Life” by Kim Fields with Todd Gold (FaithWords, 2017 ISBN: 978-1-4789-4754-7 eISBN: 978-1-4789-4755-4) is a division of Hatchette Book Group , Inc.
For more information, go to http://www.Faithwords.com or http://www.hatchettebookgroup.com . For more on Kim Fields, go to twitter @KimVFields. Bob Batchelor’s ” Stan Lee: The Man Behind Marvel” (Rowman and Littlefield, 2017) takes the reader through the life and struggles of the most well known comic book creator in Pop Culture in a wonderful read. The book starts off walking the reader through the early childhood of the comic legend, from his parents struggling with ways to make money to support the family, especially his father, who was many times unemployed. This family background leads to Lee’s incredible work ethic throughout his life. Lee’s love for reading early on, especially the classic works like Shakespeare, helped form his writing skills that inspired many of his comic creations. The book mentions that Lee’s love for “Frankenstein” and “Dr. Jeckyll and Mr. Hyde” helped created The Hulk, and his love for Edgar Allen Poe, Shakespeare, and Alexandre Dumas influenced creating the character Thor, along with Howard Hughes and the Cuban Missile Crisis inspiring the Iron Man/Tony Stark character. After graduating high school, Lee began his writing career, starting off as an office boy for Timely Comics, which was geared to be a men’s magazine. The book covers the years Lee worked his way up from a gofer to ending up being the head of Marvel Comics, and his relationships throughout the years with the staff, freelancers, and artists in the company, including other comic pioneers Joe Simon and Jack Kirby. Batchelor’s book is not just a date to date biography, but has plenty of interesting storied added to in that keeps the reader engaged. One interesting story from 1977 (when comic sales were down) is when Lee had to be convinced to take a chance on doing a comic tie in with a science fiction movie, called “Star Wars,” which not only became a cultural phenomenon itself, but also saved Marvel from bankruptcy. Bankruptcy is a common theme throughout this book as well, which was educational for this reader who was not familiar with all of the different bosses, mergers, and bad deals that occurred throughout Lee’s and Marvel’s history. The business undertone in the book makes the text more than just about a man who wrote comic books. Many people may have thought that every creation Lee made was a success, but the book takes the reader through characters like Savage She Hulk, The X-Men, and other titles that did not sell well at first, or was only in limited runs due to an early business deal which Marvel was only allowed to produce a certain number of titles per year. Bad business deals also put the company in trouble several times, including the famous attack on comic books in 1954, which involved Frederick Wertham attacking comic books for its contents. This Senate hearing ended up with the creation of the Comic Code Authority, which put limits on what could and could not be placed in the books, which affected the industry and caused many writers and artists to be fired. Even throughout the bad business deals and attacks on the industry, Batchelor paints Lee as a person who perseveres throughout his life, including the fact that Lee wanted to be seen as a “credible” writer by his peers, besides comic books, and worked on the men’s magazines and had dreams of being a novelist, but was seen as a comic book writer. The reader gets a nice heart-filled touch to what may be seen as just a fact based book. “Stan Lee: The Man Behind Marvel” is not just a basic biography where the author presents a lot of research material (although it is very well researched), but it presents themes of The American Dream of a man who wanted one goal, but embraced another that turned him into a legendary figure in publishing, even through down turns, such as sales plummeting, canceled series, and numerous bad business deals and multiple bosses. The easy to read chapters makes this 204-page book an educational read for many who love comics, or just want to know more about the man behind many of the great comic book creations. (A Special Thanks to Rowman and Littlefield for the Reading Copy of this book). The book “Victoria and Albert A Royal Love Affair” (St. Martin’s Press, 2017) by Daisy Goodman and Sara Sheridan is not just filled with not wonderful photographs detailing Season 2 of the PBS series, but is also an outstanding biography of the royal couple. This book is the official companion to the television series starring Jenna Coleman (known from her stint on Doctor Who) and Tom Hughes. The book has many pleasant photographs on the set of the show, including behind the scenes photos and stories that describe how the writer, set designers, and other cast members approach the show and their characters. The book also tells the story of the couple based on historical research and the use of Victoria’s journals. The biography part of the book is well researched , and the authors add many pleasing information, giving a back story and extra information on topics during the reign of the couple, especially during the second series of the show. The book includes several timelines of historical events that were a part of the Victorian society, such as the working conditions of children, the popularity of satire in the newspapers, and the technological advances during this period. The writers also detail the events of the Irish Potato Famine, The “Corn Laws”, and how they affected those around Victoria (the famine and “Corn Laws” especially affected Sir Robert Peel that caused a rift within his own political party). The companion also covers topics like the several assassination attempts on Victoria’s life and the working conditions inside of the palace, along with the advances and historical precedents that Albert helped bring to society. Since this is also a book about the television series, there are wonderful cast quotes about their characters, how the costume designers and set designers created the settings, and humorous tales about extras and the animals used on the show (for instance one extra was sent home for having blue hair, and the dog that plays Victoria’s Dash was actually deaf). The book even covers descriptions of the symbolism in the culture at the time, such as what the hidden messages meant for use of different kinds of flowers, to a description of medicine uses during the period (such as leeches), and what the criteria was for a person to inherit the crown. The great thing about this book is that someone who has not seen the television show would not be lost in the book. The reader can come into this book with no idea of the show and enjoy the book, because it is part biography. The layout of glossy pages, filled with quotes from the series is beautifully done, along with the pages of the extra information, such as the coverage of one would be assassin who was referred to as “The Boy Jones,” how Royal Christenings were done, and covering the etiquette and food of the time. Goodwin and Sheridan’s companion book is not just for fans of the show, but for history readers. There is so much information, timelines, and drawings that the reader will take several minutes on each page gazing at the glossy layout filled with color and black and white photographs. The old adage “Don’t judge a book by its cover” applies here, because if one just sees the cover, they will think it’s just about the television series, which is a shame because there is so much to this book to please history and pop culture readers, along with those that like to see how a series is created (including the work that goes into a show), on top of those that want to read about one of the most famous Royals. This is one book that must be read, and then read again. A very special thanks to St. Martin’s Press for the advanced reading copy. 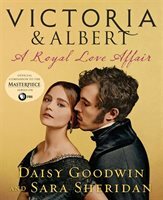 “Victoria and Albert A Royal Love Affair” by Daisy Goodwin and Sara Sheridan (St. Martin’s Press, 2017 ISBN: 978-1-250-17530-4) is available where books are sold. For more information on books by St. Martin’s Press, go to : http://www.stmartins.com. Book Review: Get in the “Popular” Group. 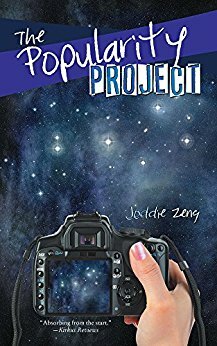 Joddie Zeng’s “The Popularity Project” (Author House, 2015) takes the reader on a journey where a high school junior places herself into a situation with a new look, personality, and school all for the sake of a secret project which finds herself discovering a part of herself that she didn’t knew existed in this wonderful Young Adult book. The main character, Ariella Winters, is a girl at Easton High who could care less about the typical life that her peers deal with; boys, drama, and being popular. All Ariella has cared about since she was younger was getting the grades she needs to be accepted into her dream college. When her and a few other students end up in the “New You Project” given by her teacher (a project where each student is transferred to another school and put out of their comfort zone) Ariella starts to change her thinking about the other classmate stereotypes that she grew to know. Ariella gets placed in Lincoln Bay High School, and her topic is to be a part of the popular crowd and study popularity, where she has to try and befriend the “popular” group and learn from her experiences. With help from her best friend, she gets an appearance makeover , from clothes (no more bagging shirts and sweatpants) to getting contacts, and tips on makeup. During the project, she has to fake her way through liking the girls she normally would not think about even talking to (and vice versa), along with the fact that the star athlete on the soccer team (the guy everyone at the school wants to date), Ashton Walker, becomes attracted to her. Ashton’s and Ariella have somewhat the same idea on love, but on a different spectrum- he wants to hook up and keep love causal, while Ariella doesn’t believe in high school romances lasting, along with her “who has the time” mindset, because all she needs is college. As the reader may find out, Ariella and Ashton, after several bantering where the she blows him off, end up being more than just classmates. Zeng’s book is filled with funny conversations between the characters. Ariella and her best friend, Flora, have some of the funniest wit and conversations between each other that makes the book humorous where the reader will laugh out loud. She also has a unique relationship with her aunt, where they spend time watching reality shows at night, which is also enjoyable. However, the book’s focus is geared on her interactions with Ashton, who is not only the stereotypical annoying star athlete, but also, a young man who has reasons for the way he acts, which shows depth to the character (even though the annoying attitude doesn’t die out once Ariella and Ashton become closer for this reader). Even though it’s hard to be compassionate to the Ashton character, Zeng shows , like any high school labeled person, there are layers to his life, while he is trying to figure out his youth and where he belongs (plus, being an older reader, the bias is different than a young adult reading this). The heart of the book is at the ending, when Ariella has to go back to her school and give her conclusions to her teacher. Her speech during the presentation is inspiring and hopeful in dealing with the topic of cliques in the school systems. Ariella not only starts out hating the project, but finds discoveries about other people, including herself, throughout the story, which is what a great coming of age book should entail. Zeng has the characters and themes nailed in the book, probably because she is still a teen author, but that should not detour older readers not to check this out, because it is well beyond a typical teen writer’s skills- this book is amazingly written, where some adult authors in the genre could learn some writing tips from this author. Overall, the book is extremely entertaining, while engaging. This is not a “Mean Girls” book, where the character joins the popular group and goes around cutting down the other students. Although there are a few minor misses with a few characters (namely the revengeful bad girl Tara, who gets written out pretty quickly after a climatic engagement), the book is a wonderful read. Even though the last statement with Tara is awkward, there are pleasing interactions with other the characters like Ariella’s parents, Ashton’s best friend Elliot, and Ariella’s Aunt Stella. The art work on the cover shows a camera being held up towards the sky, which is a reference to Ariella’s hobby of taking pictures of the stars, but there is another symbolism to this illustration. The cover shows that Zeng has a bright future, if she decides to pursue it, in her writing. This book is truly one that fans of Young Adult books should check out from a wonderful author in her debut. Thank you to Joddie Zeng for the review copy.